For Christmas this year I decided to make Christmas ornaments for my kids' teachers and friends of mine. The ornaments turned out to be quick and easy to make! 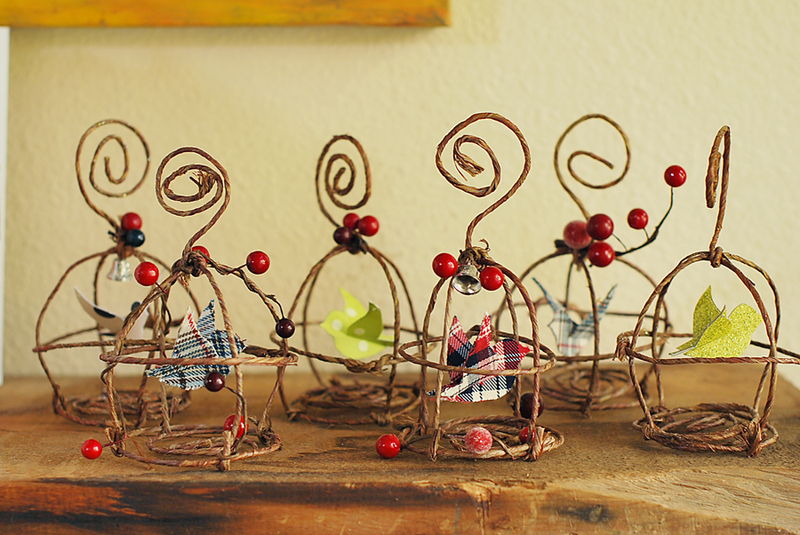 In fact I made extras for unexpected guests that visit me over the holidays. This way no one leaves empty handed. I don't have a tree yet to hang them on; however, they do sit nicely on my shelf. I also like them without the Christmas bling. This one could be a year around decoration. Festive paper for making the bird. For the fabric birds, I glued plaid fabric to card stock (another option). 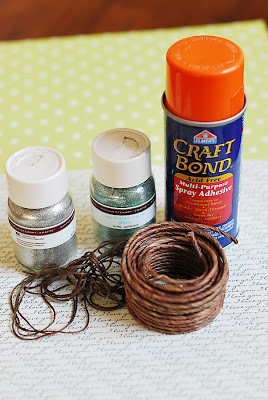 Spray adhesive glue (I used craft bond). 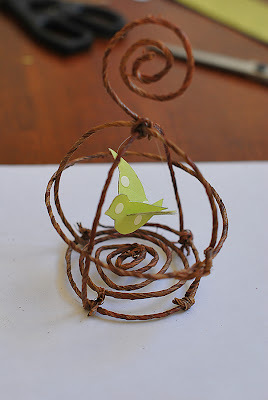 Floral wire that looks natural. I purchased mine at Michaels for under $4.00. 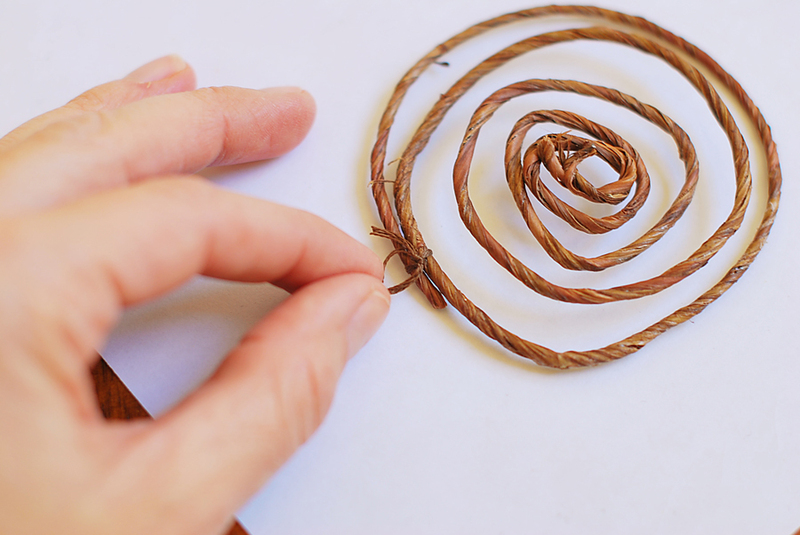 Embroidery floss or string that matches the floral wire. Thread for hanging the bird. I used nylon thread (not pictured) because it is clear. Safety pin or something sharp for poking a hole into the paper. Embellishments such as: glitter, berries, bells or flowers. 1. Glue the non-printed side of the festive paper together. To do so, fold the festive paper in half so that the printed side is visible on both the front and back of the paper. Unfold the paper and spray the wrong side (non printed side) of the festive paper with the spray adhesive glue and glue the wrong sides together. You should now have the print on both the front and back of the festive paper. Fabric bird option - For fabric birds, cut 2 pieces of fabric the size of the card stock paper. Spray the adhesive glue to one side of the card stock and glue the fabric to the paper. 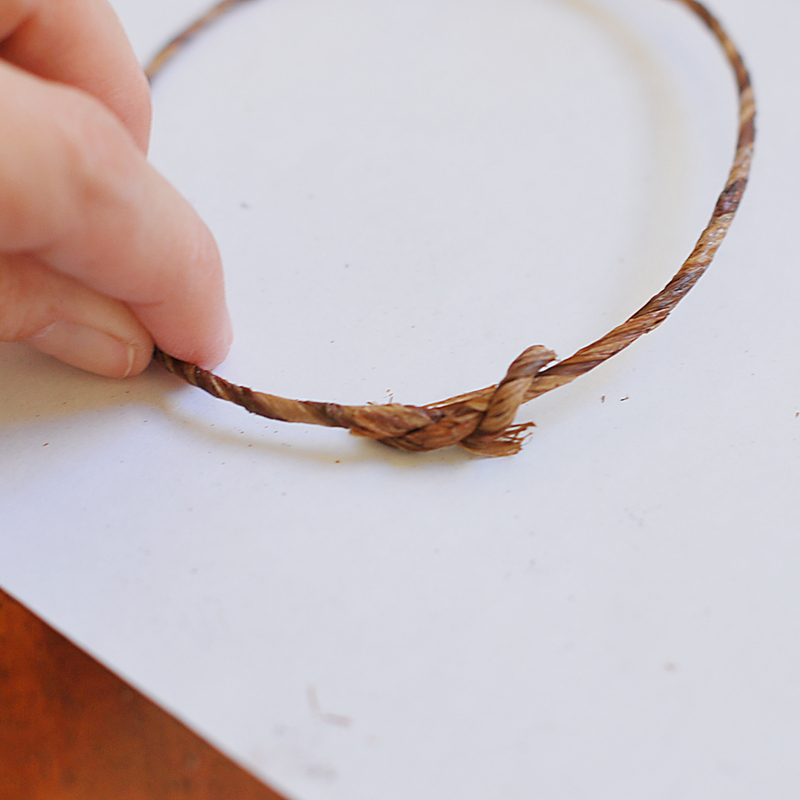 Once the glue is dry, turn the paper over and glue the fabric to the reverse side of the paper. 2. 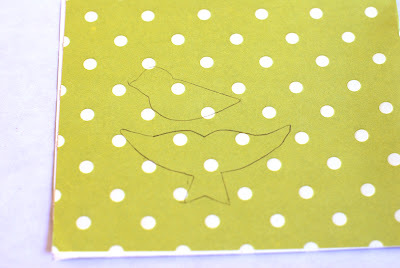 Print out the bird template on plain paper to use as a tracing template or print the template directly on the festive paper. 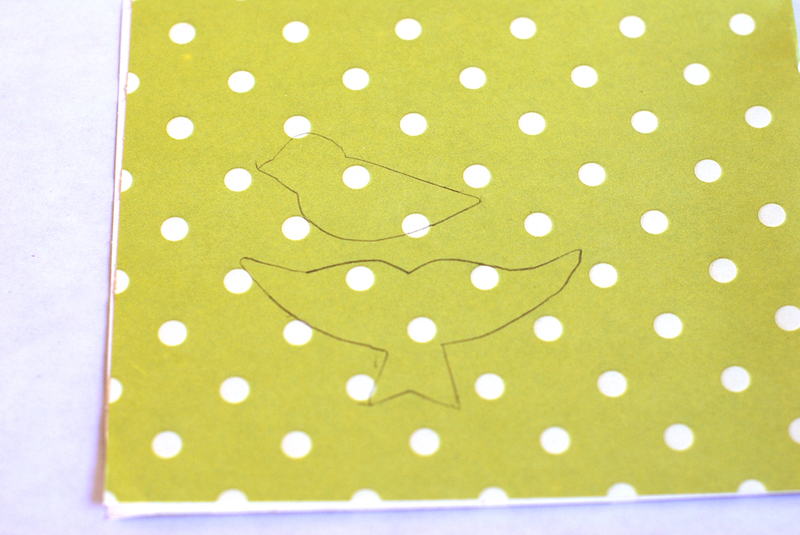 If you are using it as a tracing template, trace the bird and wings image onto the festive paper or fabric. 3. 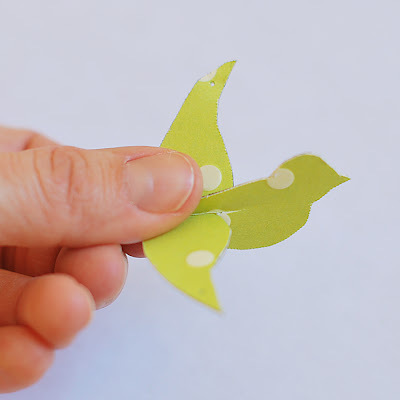 Cut out the bird and wings from the festive paper or fabric/paper. Cut the slits as indicated on the template. 4. With a safety pin, poke a hole into the tips of each wing. 5. Slide the wing's slit into the bird's slit. 6. Fold the wings upward (along slit line) to create some dimension. Set the bird aside until step 11. 7. 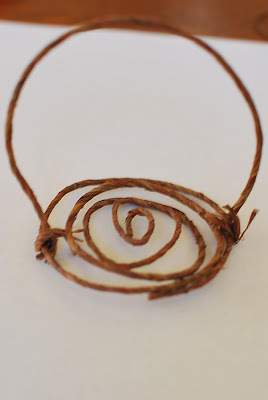 To make the base, coil the floral wire until it is about 3" to 3 1/2" in diameter. Cut off the excess wire. 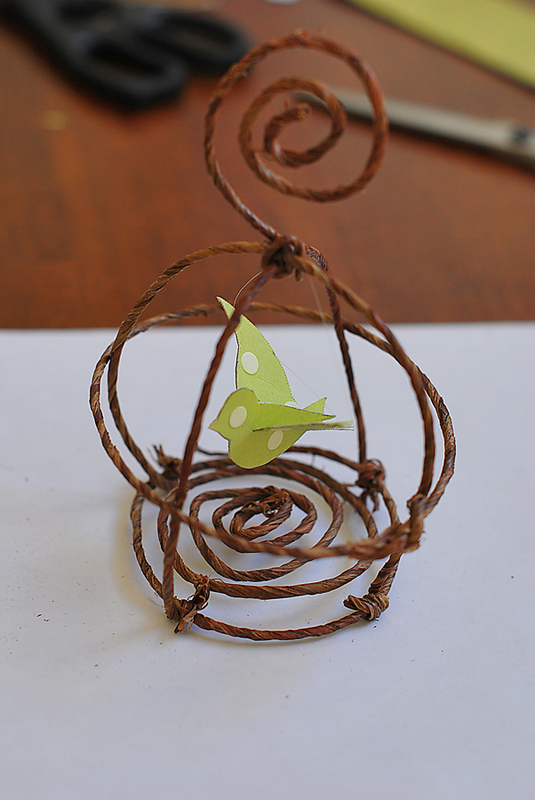 A 3" circle is included with the bird template to help reference the size. 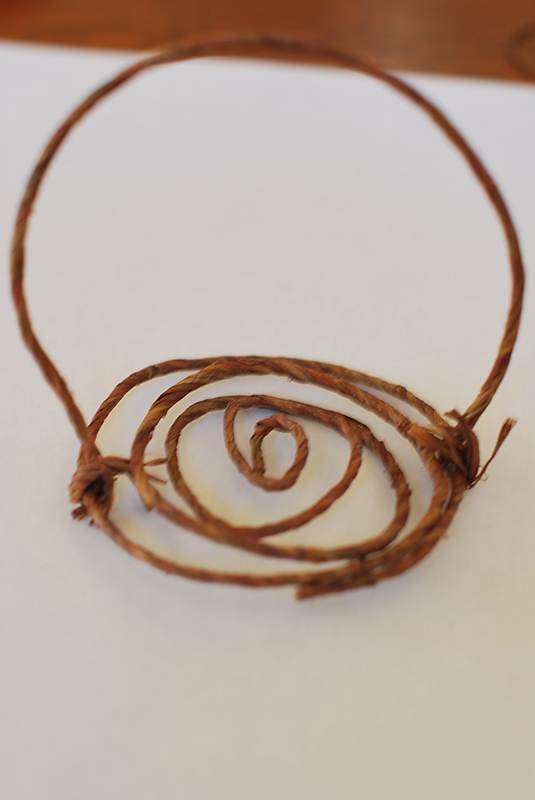 Using the embroidery floss or string, tie the end of the floral wire to the wire next to it (shown in the photo below). It's OK if the base is uneven or "wonky" as I like to put it. 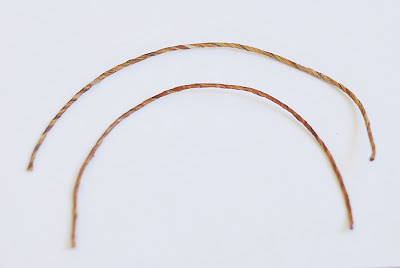 However, if there is extreme wonkiness to the base you may want to tie down some of the wires that are causing the problem to the wires that are more stable. 8. From the floral wire, cut 2 wires that are 11" in length. 9. Wrap one end of a wire around the outside wire of the base. You only have to wrap the wire once to secure it. 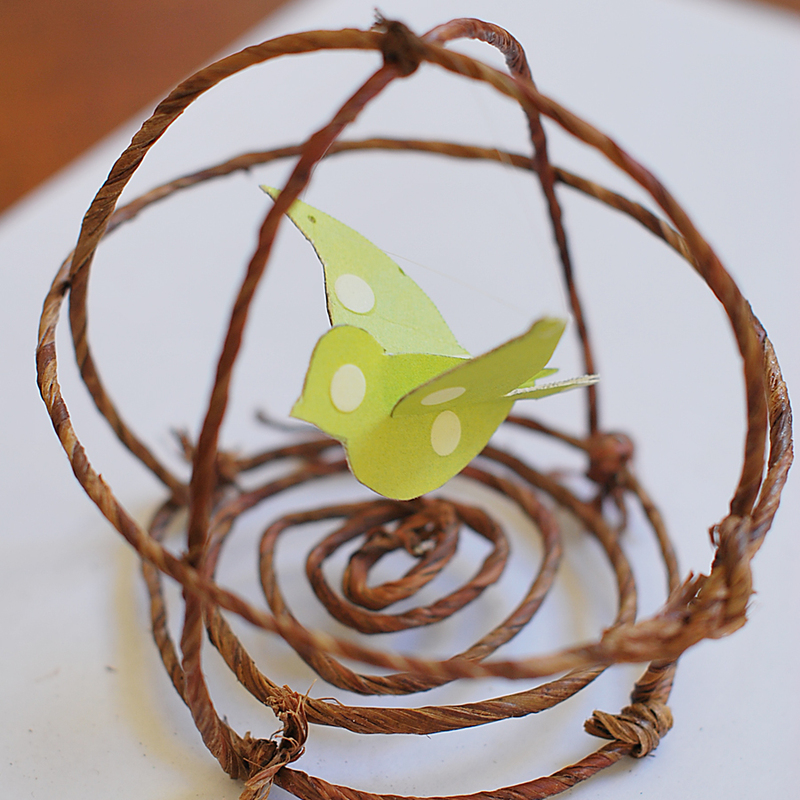 Next, arch the wire to the opposite side and wrap the opposite end to the base. 10. Repeat step 9 with the second wire. 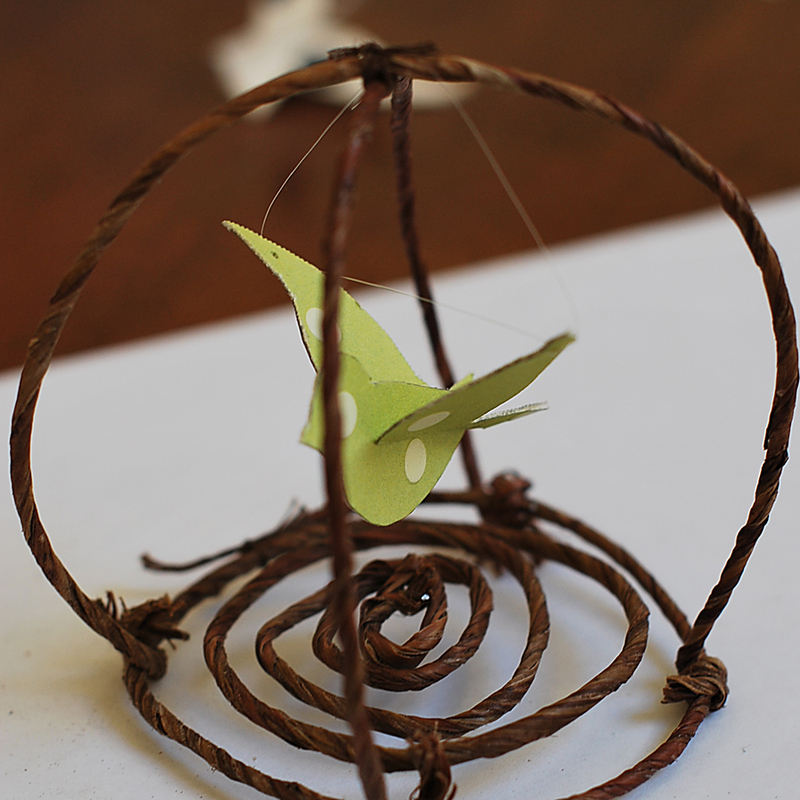 With the embroidery floss or string, tie the wires together at the top of the cage. 11. Thread the thread through the holes on each side of the wings. Tie the ends of the thread to the top of the cage. 12. Measure the circumference of the cage. Cut a wire that is approximately 1 3/4" longer than the measured circumference. Make a circle with the wire and overlap the ends by 1". 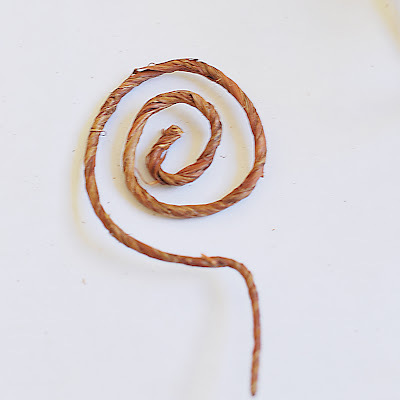 Twist the ends together. 13. Place the wire over the cage and slide it down to the middle of the cage. The wire should be snug. Optional - You can secure the wire in place by tying the circular wire to the cage where the circular wire and cage wires intersect. 14. Coil a piece of wire and leave one end straight for wrapping around the top of the cage. 15. 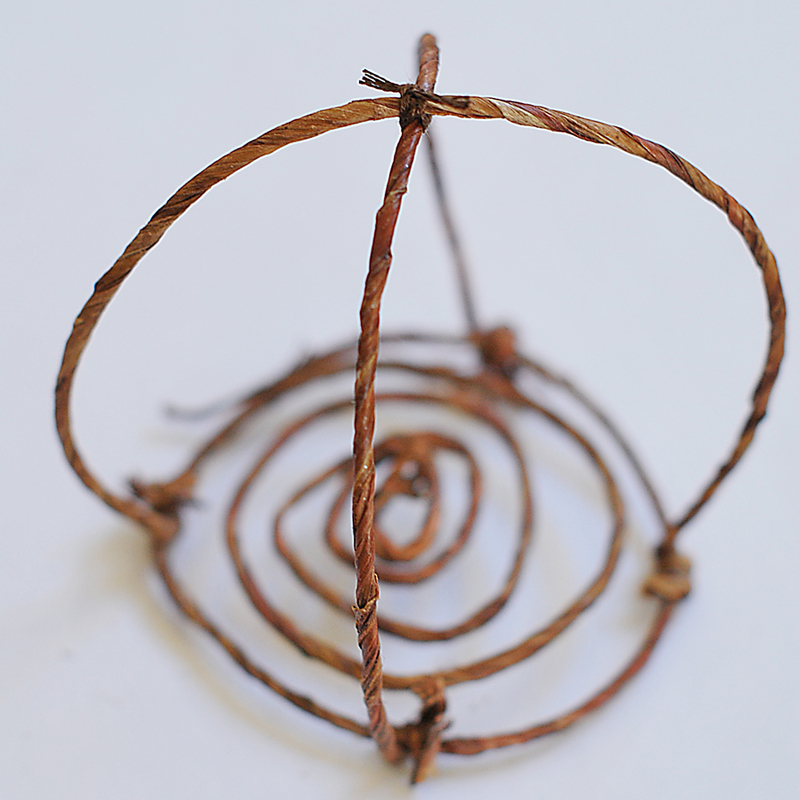 Wrap the straight end of the coiled wire around the top of the cage. 16. 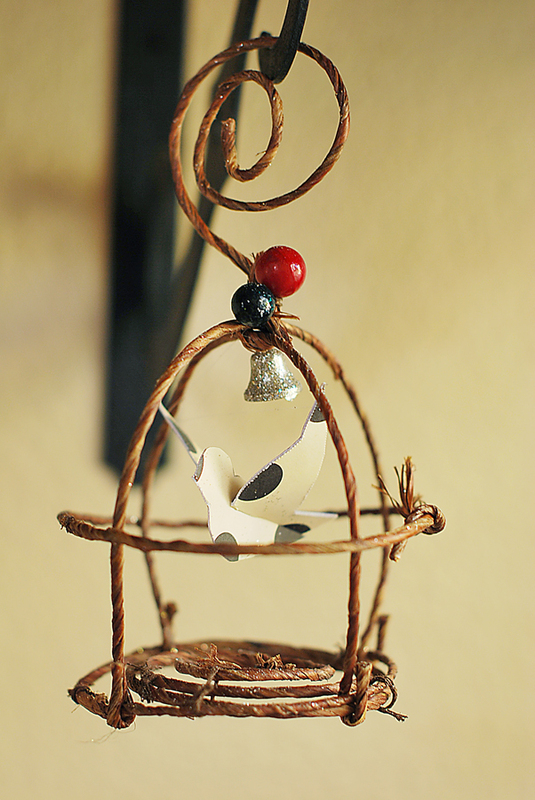 Embellish the cage to your hearts desire! 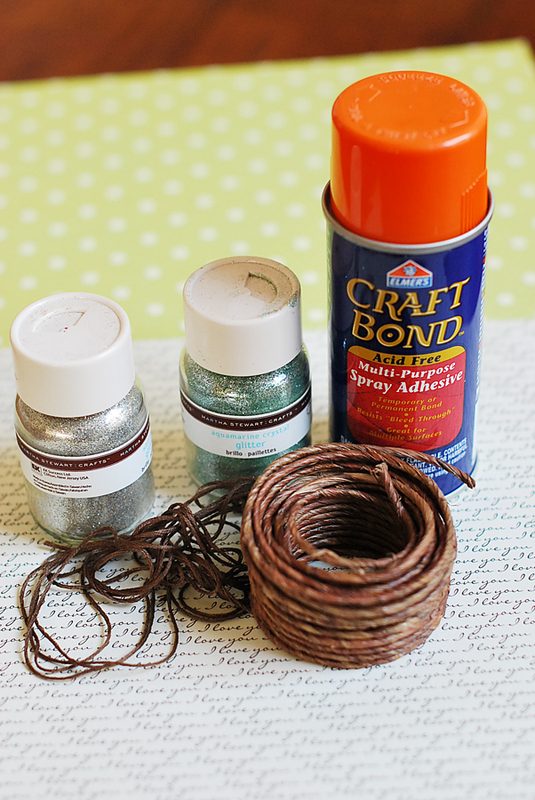 You can spray the cage with adhesive glue and sprinkle glitter on it, or you can wrap Christmas berries around the wires. 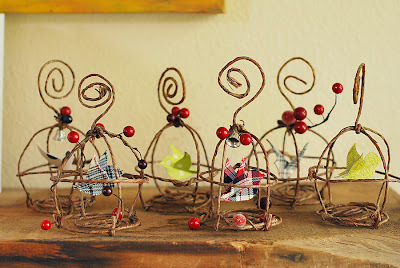 A few more options are bells, dried flowers, or you can leave it a la naturale. Wow, that is so, so pretty! What a great ornament! Thanks so much, I'll be linking. You're too smart! These are great. It would be fun ti tie mistletoe to the base and hang one in a doorway. This is so lovely! thank you for the tutorial! Those are so darling! How creative! 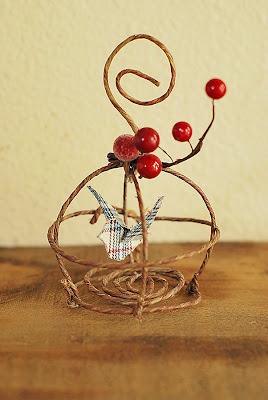 I'm very impressed with the delicate look and the ease of making this adorable ornament. Very clever of you! I would purchase these in a fancy boutique or store if I saw them! I plan on maing some for myself and as gifts, thank you! really great tutorial! 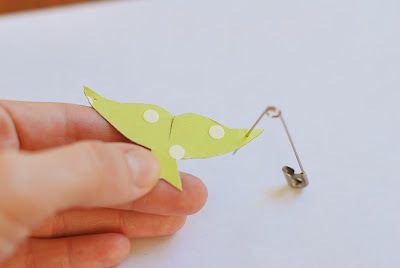 Thank you for the tutorial, thinking about making a cage for one of my felt birds. I absolutely love this. So sweet. Thank you so much! 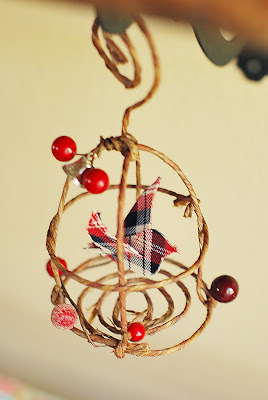 What a cute project, just found your blog! Love love love this. Too bad I missed it this year. I'll have to bookmark it and come back next year...or just make a ton all year long! So long procrastination! those are actually incredible. really. 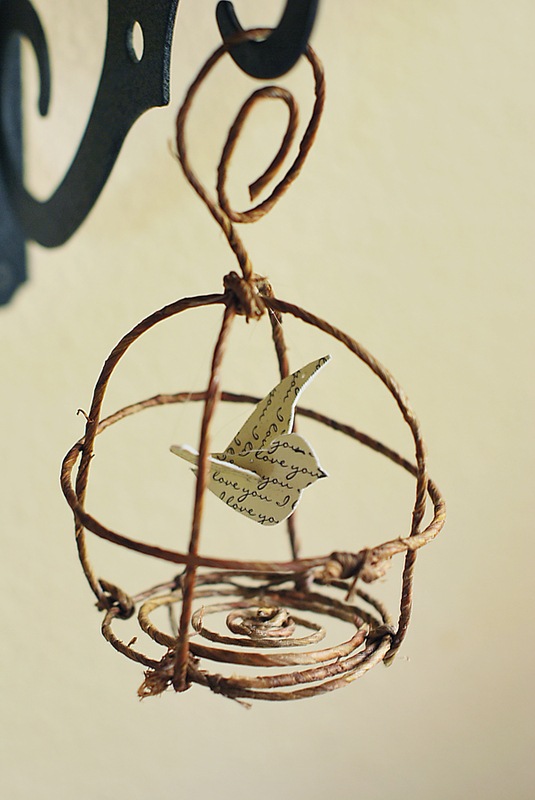 Just reading Angie's post over at incourage.me about sparrows and this would fit perfectly as a visual reminder of how much God really cares for us. pretty!!! I must subscribe now. Found this from Pinterest. They are adorable. Thanks for sharing! I love your cage, are very beautiful But link for template doesn't work! Can You help me?